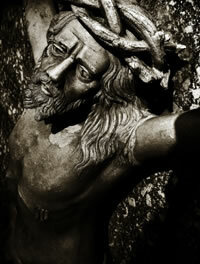 Also provided is a prayer/meditation on the seven last words of Jesus. For individual or group reflection/prayer. Please feel free to adapt it to your needs. Woman, this is your son ...this is your mother. Indeed, I promise you, today you will be with me in paradise. Eli, Eli, lama sabachthani? ...My God, my God, why have You deserted Me?